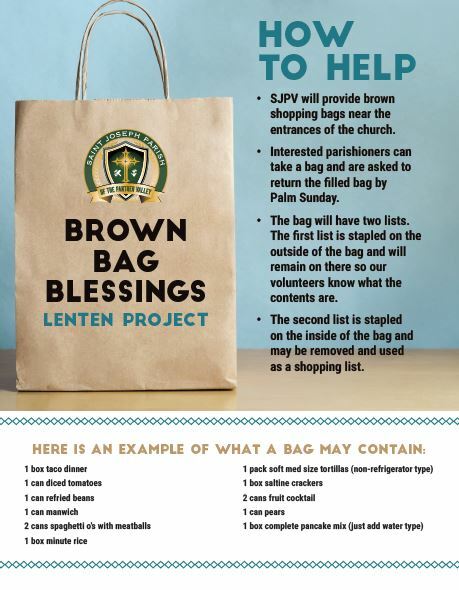 Please join us in fulfilling our Parish Lenten Project – Brown Bag Blessings! Pick up a brown bag at church and return the filled bag by Palm Sunday. We want to thank everyone for their continued support of our mission. Because of your generosity, the 2018 Thanksgiving collection added $2,429.41 to our checking account, which will help us heat homes, purchase warm coats for children, and feed families in their time of need. We are also thankful for you beneficence during the Christmas season! The donations that we received for the Giving Tree were above and beyond anything that we expected. 2018 was a busy year for us, but unwavering support from the community and our parish helped us to achieve much more than we thought possible. At the quarterly Stand Down events, St. Vincent de Paul volunteers prepared and provided a hot meal for nearly 800 individuals. We visited 717 homes where we were able to assist 1,238 individuals in the Panther Valley area. We provided food, furniture, clothing, school supplies, oil, winter coats, and many other forms of assistance that were needed. We delivered Christmas baskets which included turkey and all the fixings, gift and new clothing for the children, new towels, and a house household item such as a toaster or a crock pot. These baskets benefitted fifteen families and fifty-four children in our community. We attended community outreach events and hosted food drives at local supermarkets. We forged partnerships with the Salvation Army, local food pantries, VALOR Clinic Foundation, St. Luke’s, and countless other community organizations who all share our goal of helping our neighbors in need. 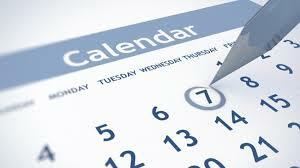 2019 will be another busy year for us as we hope to reach more people and find more effective ways to serve their needs better. If you would like to become involved, we typically hold our meetings in the parish social hall on the second Monday of each month at 6:30 pm. Like and follow our Facebook page for updates! Since 2002, the Bishops of the United States have had in place the Charter for the Protection for Children and Young People. The principal purpose of the Charter is to ensure, as much as humanly possible, a safe environment for the children of each Diocese. 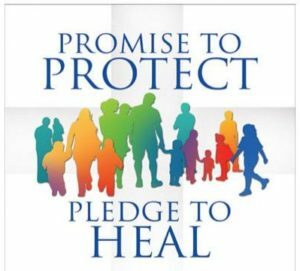 Please click here or click the picture below to read the entire Diocese of Allentown Charter for the Protection of Children and Young People.